Tours with walks in Scotland's Highlands & Islands Tour and walk Isle of Bute from Stirling & Glasgow in small group adventures. - Drive to the ferry at Wemyss Bay & enjoy a scenic crossing to this jewel of an island in the Firth of Clyde, viewing sea birds en route and possible porpoise. - OR drive south and hike to Scotland’s finest monastic site from the era of the Celtic saints of 6th century. It still exudes a deep peace in its remote, upland setting. Grading: Easy climb to the monastic ruins. Distance: 1km. Height Gained: 50m. 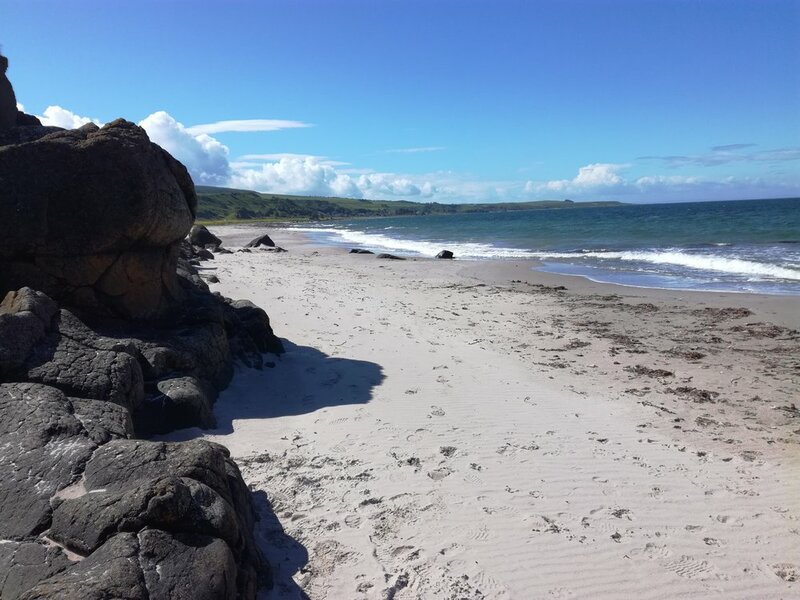 - Walk a coastal section to Glencallum Bay. Grading: Moderate to strenuous over some boggy and stony ground. Distance: 4kms. - Drive up the west coast to Ettrick Bay and paddle its fine sandy shore, or if you’re brave, swim! - Home again on the ferry.